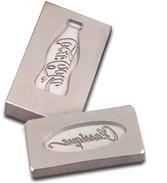 Direct part marking food packaging often requires the marking tooling to have specific properties. Ink for food packaging, specifically, needs to meet a few key criteria. 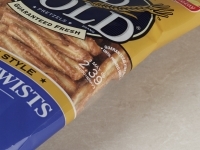 To understand what to look for in food packaging marking solutions, it is necessary to look at why we mark food packaging and the unique challenges inherent in this type of packaging. Packaging Machinery in Orange, NJ produces new cartoning equipment along with re-building used systems. These cartoning lines are used for consumer products like cosmetics, pharmaceuticals, and food packaging. One of the key features of these production lines is the addition of a part marking coder that marks the date or lot code on each package. 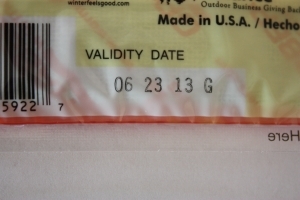 These are the born on dates you see on most packages you buy. These part marking coders use steel or brass type in order to imprint the date or lot code permanently into the packaging material. One of the things that makes marking technologies so exciting is the wide range of industries we can serve with our products. Each industry is unique and each company in that industry has unique challenges - but there are many common things that apply across industries and companies. Material marked, equipment used, mark type required, cycle time requirements, manual versus automated marking, these are just a few of the questions everyone wanting to direct part mark an item needs to answer. 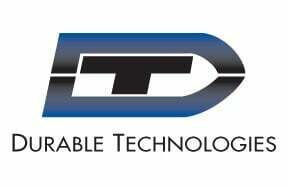 To each industry we serve, however, Durable Technologies brings experience and passion for direct part marking. As the premier OEM-alternative type supplier in the country, Durable Technologies manufactures brass and steel dies and packaging type used for coding, imprinting, labeling, embossing and debossing. We are the largest manufacturer of replacement metal coding type for all of the popular OEM equipment including Norwood® Imprinters, Markem® Touch Dry Coders, Jones® Cartoners, Open Date® Labelers, Norden® Tube Fillers, and many more. Everything needs a package. Every package needs marking for identification and traceability. Durable Technologies provides package marking solutions for just about every product package type from high speed on the fly marking of consumer goods to very specific and detailed custom labels for high cost industrial capital equipment.